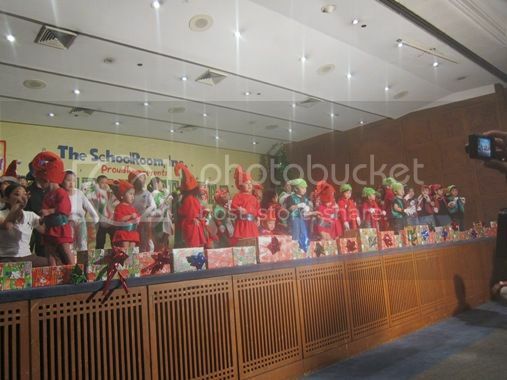 We were at the Tektite Auditorium of the Philippine Stock Exchange Building last Saturday, December 10, 2011 to watch our son’s school Christmas production entitled “Where Is Santa?” All of the students from toddlers to kindergartners were included in this magical Christmas show. This was really a proud moment for us because our son was the one assigned to lead the invocation. Below is a video of Justin reciting the prayer. And here are some pictures taken during the show. Note: The photos were taken at bad angle because the middle aisle and the front area were off-limits to parents. That’s because they hired official photographers for the show. 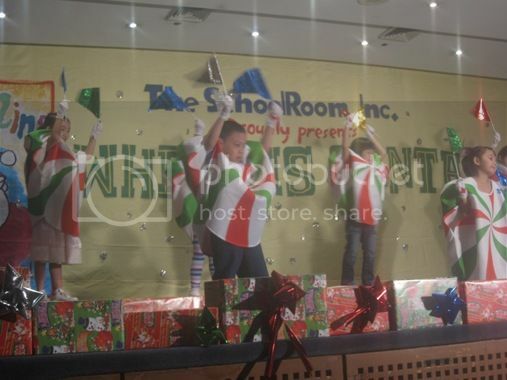 The children had a grand time showing their singing and dancing prowess, while the parents, grandparents and yayas were all so happy and proud watching these little ones perform on stage. Now, we’re all looking forward to their graduation show. 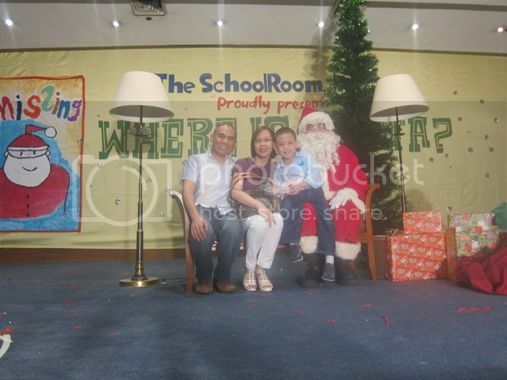 This entry was posted in Christmas, Christmas Production, Kindergarten, Mommy Moments. Bookmark the permalink. 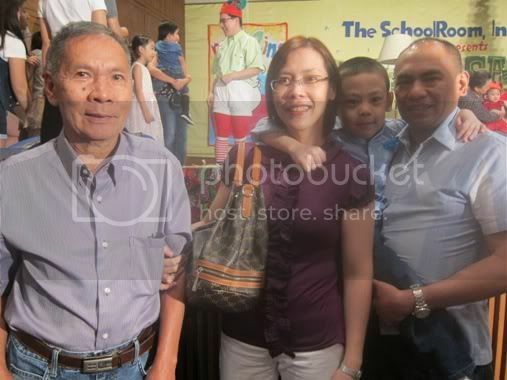 Full force ang family for Justin! I’m sure you were all very proud of him when he went on stage. Thank you very much for dropping by and for commenting! Must have been a proud Mommy Moment for you. I liked that your child spoke with confidence and clarity. Ang galing nya! Most children would probably be very shy.